If you love eating Barilla pasta, this special deal is for you! When you complete the brief DailyBreak quiz, you will receive a coupon for $1.10 off your purchase of 3 boxes of pasta. 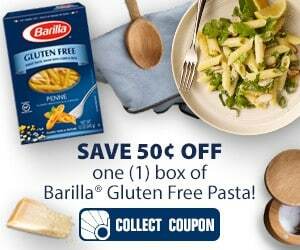 The coupon is even valid on Barilla gluten free pasta! In addition to the coupon, you can sign up to be entered in the drawing for a chance to win a Gluten FREE pasta gift basket worth $250!